It was a sad day when Spongebob Squarepants forgot how to make a Krabby Patty, but the day was saved when he remembered it went bun, patty, ketchup, mustard, pickles, onion, lettuce, cheese, tomato, and bun. While the Krabby Patty recipe IS online, and it's no secret there is NO crab in them...under the sea or on land, hamburgers are one of America’s favorite foods. We center food fests, contests and more around these juicy patties, coming up with unique and clever toppings, consistently reinventing this time-honored meal. 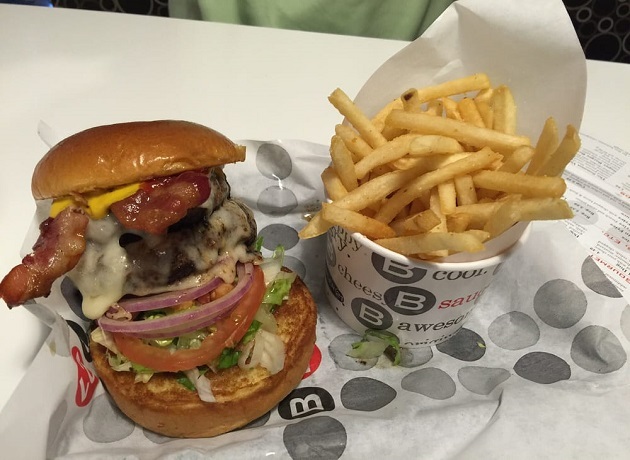 Your choices are many when looking for the best hamburgers in North Central Florida. We are narrowing the list down to a few of our favorites. We hope you will give them a try! Dripping, juicy, meaty and expertly topped, the burgers you find here are cooked to order on a flat top grill and can be personalized to your liking. If you are tapped out when it comes to taco Tuesdays, rejoice! 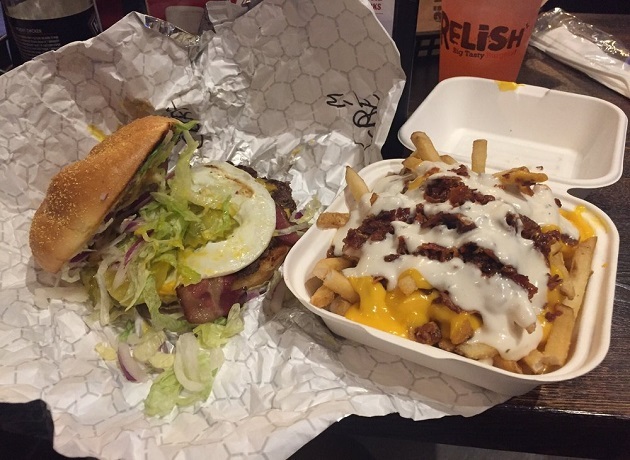 elish serves a $5 burgers and fries every Tuesday! Good news for vegetarians, this restaurant became the first place in Gainesville to serve the "Beyond Burger"; an awesome veggie burger with tasty toppings. 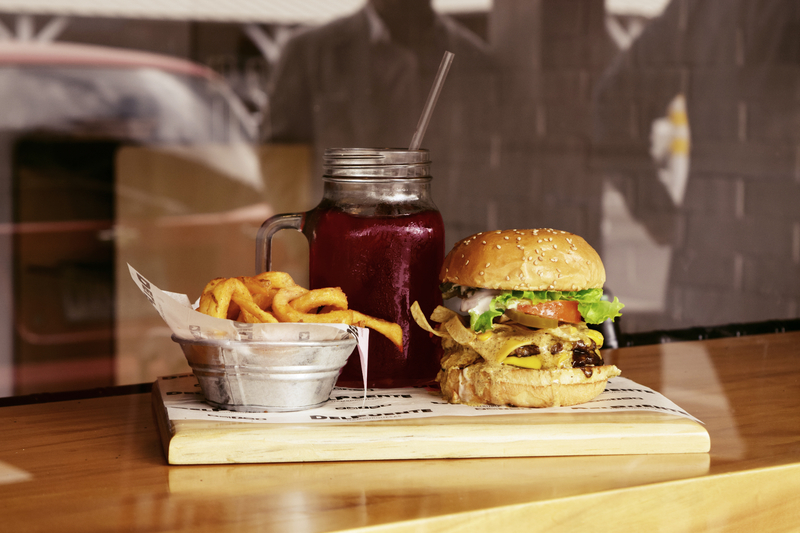 This fast foodie burger joint has a great atmosphere, heavenly burgers, and sides. Prices are a bit high for portion size, but the cost comes with hormone free, no antibiotic meat! Gotta love the name! Most definitely these oversized burgers will easily pop your pants, so plan ahead and wear your loose pants! We recommend visiting Wednesdays before 9 p.m. when burgers are $6. Loosey's is a pub, enjoy tap options, drink and hang out where you are treed like family. 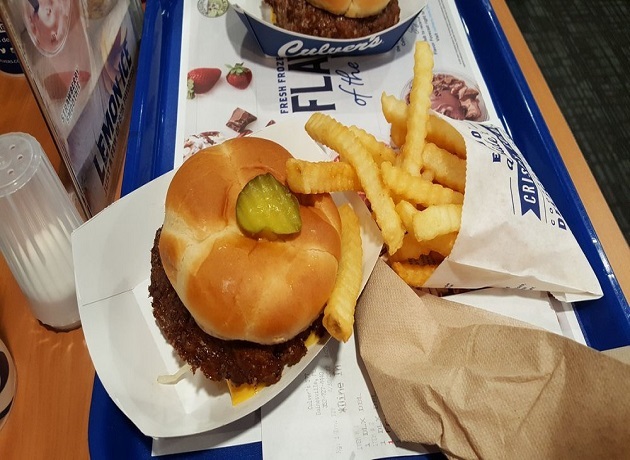 This Wisconsin based chain brings not only cheese curds but butter burgers to North Central Florida. Located off Clark Butler Boulevard, it is a bit of a challenge finding them in the winding open mall maze, but worth the trip. Be sure to leave room for their homemade custard AND the rootbeer....it's like no other rootbeer anywhere!!!!! Healthy choices include gluten-free buns and bunless burgers or choose one of their delicious salads. We could have shown you a pic of a burger but decided to let these lines speak for themselves...This laid-back, cash only burger restaurant is bursting with good old Florida charm. 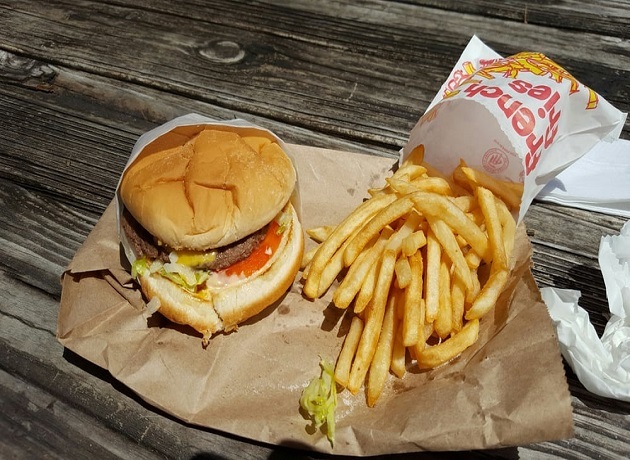 Flipping patties since 1987 their burgers are simple and scrumptious while the service is wonderful, making this a notable mention on our list of the best hamburgers in North Central Florida. 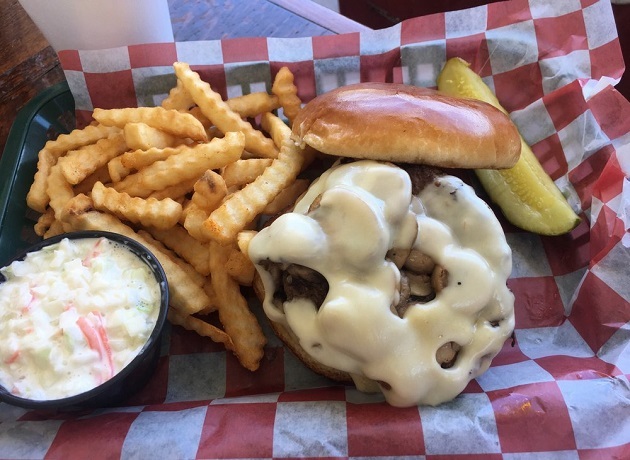 This former gas station turned burger restaurant wows locals with favorites like the Bacon Bleu Burger, and Swiss Mushroom. They double-fry their old-fashioned crinkle cut fries to the peak of crispiness, dredging them in fine salt to french fry perfection and cook up tender flaky onion rings too. You can't miss at this homespun noshery. 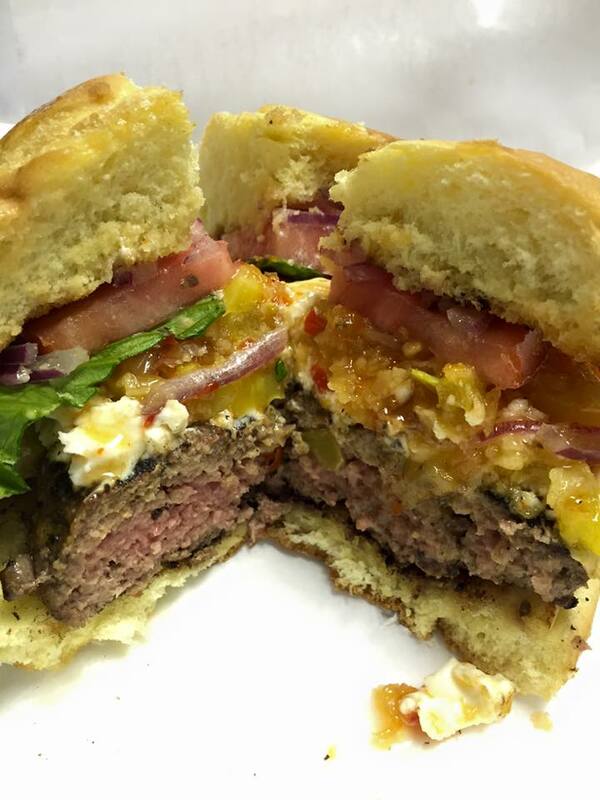 A must try here is the St Croix burger topped with cream cheese, fried banana peppers, and jelly. On Silver Springs Blvd., In Ocala, their motto is good beer, better food! This backyard-themed pub serves pizza, pasta, heros, wings, hamburgers, BBQ, seafood, desserts and more on patio tables by a tiki bar. Travel back to the backyard you grew up in at Booklyns. 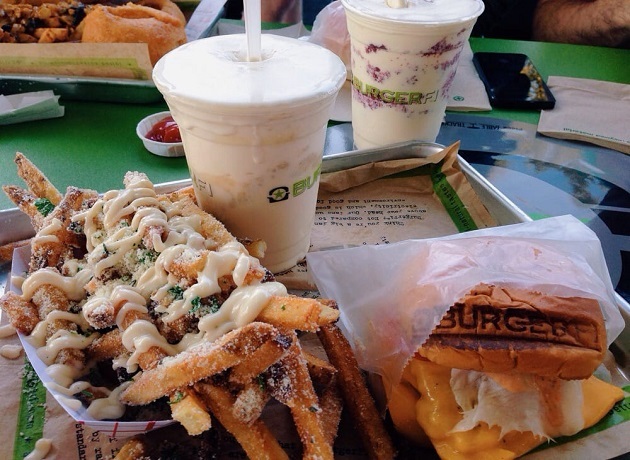 For a relaxing fast food experience, swing by Burger 21 Ocala. The service is warm and welcoming, the burgers big and juicy, and the milkshakes memorable, but nothing beats a trip to the sauce bar! Enjoy experimenting with the unique ketchup and other sauces like apple cider and toasted marshmallow. This part restaurant, part market is farm to table, organic, and delicious. They offer a large selection of burgers available in either 1/4 lb or 1/2 lb sizes made with no hormone grass-fed beef. Above are their hand cut lightly salted fries with a wagyu burger and roasted veg in the background. 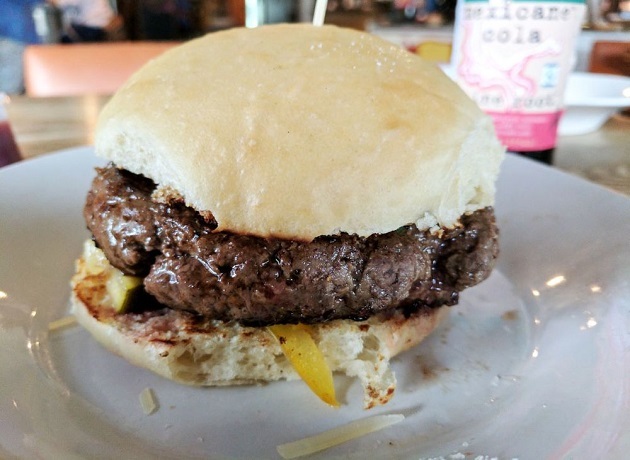 A favorite at this popular hamburger restaurant in North Central Florida is the Gordon Ramsey Burger! 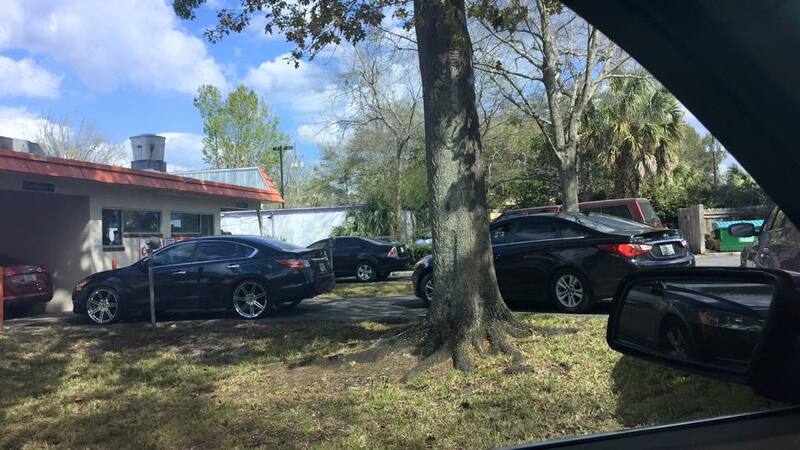 I Vegas you encounter long lines at Blue Waygu, we've never waited long in Ocala! Who wouldn't love a barn serving great food and homemade Cherry Coke! The menu is simple including fries, onion rings, chicken wings, and no-frills burgers. Many locals liken the Barn to the old MacDonalds, way before Roy Croc got involved, when they served simple burgers and fries, the old fast-food way. 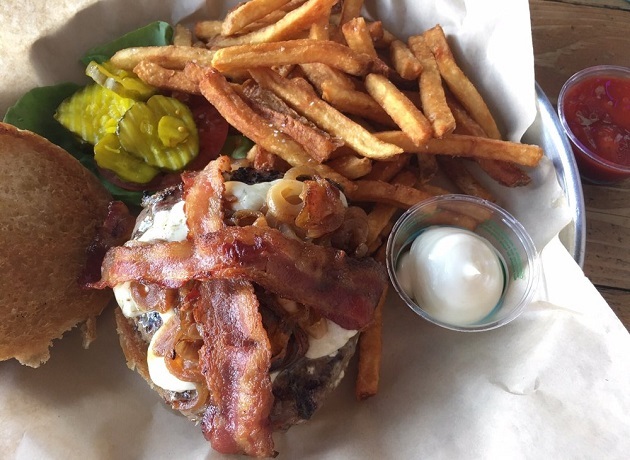 We hope this list of places where you can enjoy some of the best hamburgers in North Central Florida comes in handy next time you are hungry! Stay Connected to all things local by registering on 352area. It's free. We cover Things to Do, Events, Restaurants, and more!